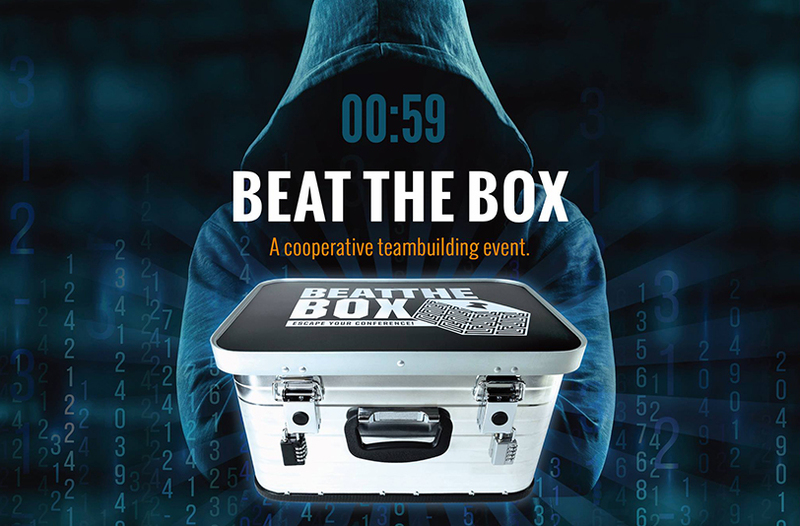 A mobile escape room, also called Escape Games, has become a very popular teambuilding activity winning team building industry awards around Europe. In collaboration with Experienced Management consultants, businessgame designers and psychologist we have designed a number of high quality mobile escape room experiences fully transportable to a venue of your choice. To succeed in our mobile escape rooms it requires each team member to take action and become fully engaged in solving the tasks. They will have to divide strengths , share information, make decisions and focus on the common goal. Being immersed in our Escaperoom activities and being outside of the work context reveals a lot about our daily communication and work style. It helps your employees in a unique way to question everyday habits and see ourselves and coworkers in a new and productive perspective.Our facilitators would love to know the goals for your team building activity and can adjust potential reflection to fit your objectives. Our Mobile Escape rooms can have a up to 400 people playing at the same time. Our Mobile escaperooms are used for team development, relationships building , teambuilding and much more. Click “here” to get to the contact form and get a quote. Thousands of people play escape rooms worldwide. But still there are some who are ‘too busy’ to have fun. So we came up with an idea to bring the escape game experience directly to them! The clock is ticking. The pressure is on! The first step is to open the boxes. 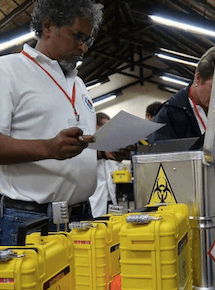 In the boxes, the teams discover 4 intriguing cases, themselves protected by strong combination locks, which contain codes and mysteries that have to be unravelled. A few months ago a synthetic virus that destroys people’s ability to communicate and collaborate was discovered. A intriguing video unfolds a story of a team of international scientists who, while developing a vaccine against the virus, have tragically become infected. As a result, they are unable to cooperate and have encrypted, locked up and hidden their findings. Teams are challenged to discover the vaccine and save the world! In this quest they must open the boxes, decrypt the codes and bring the proper DNA samples to the analyser. To open the first box and start their quest the video instructs them to consult the laboratory’s website. Can they discover the vaccine before the synthetic virus mutates, breaks the barrier of neutral cells and the infection spreads? 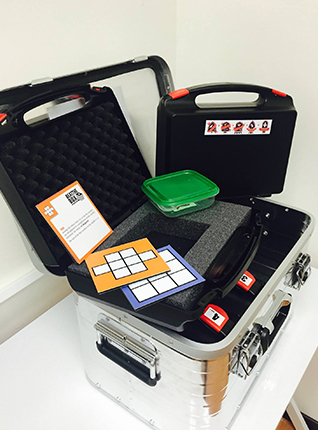 Outbreak is an experiential learning Escape Game that enhances team work and problem-solving skills in a fun and energetic environment. Effective communication and active listening are essential ingredients to success. Over the course of the Escape Game, team members come to realise that each person’s individual talent, strength and personality profile is important to the effectiveness of the team. 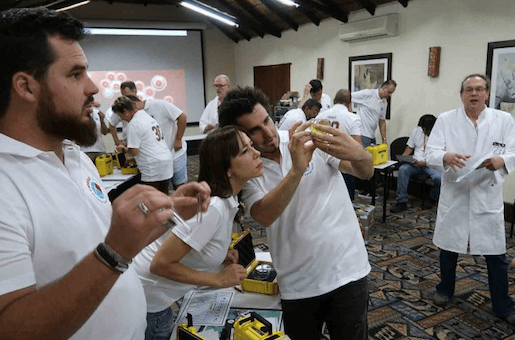 Teams learn to work efficiently and effectively within limited time constraints developing their collective problem-solving skills.